The watchdog group Cause of Action is asking a federal court to force the Obama administration to release thousands of documents related to the IRS’s targeting of conservative groups. Cause of Action asked a court in a motion filed Tuesday to compel the Treasury Inspector General for Tax Administration (TIGTA) to disclose roughly 2,500 documents related to unauthorized leaks of taxpayer information to White House officials. Cause of Action filed a lawsuit under the Freedom of Information Act (FOIA) after TIGTA refused to confirm or deny the existence of an investigation into alleged unauthorized access to confidential tax information by White House officials. A federal judge ruled in September that TIGTA could not hide the existence of such investigations, but since then, TIGTA has resisted efforts to pry free the documents. TIGTA told Cause of Action it would be withholding nearly all of the 2,500 documents it located, citing a statute—Section 6103 of the tax code—that shields tax information from disclosure. TIGTA has previously used the statute to block numerous FOIA requests seeking information on leaks of confidential taxpayer information by IRS officials. Earlier this month, the Obama administration denied a request made under FOIA by the Hill newspaper to release more than 500 documents related to the IRS targeting scandal. TIGTA has previously refused to confirm or deny the existence of investigation in response to several FOIA requests from the Washington Free Beacon, Koch Industries, and Cause of Action. Dan Epstein, the executive director of Cause of Action, said in a statement that the statute was meant to protect citizens from political targeting, not government officials from transparency. "Section 6103 was passed to stop White House and other officials from obtaining the tax return information of government critics and political opponents," Epstein said. "TIGTA, however, has asked the Court to make the unprecedented ruling that the taxpayer protection law actually shields the identities of the government lawbreakers who requested or obtained tax data without proper authorization. Such a ruling would be both bad law and bad policy." 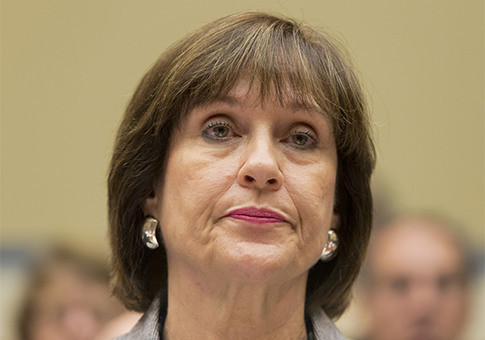 Cause of Action’s motion comes two days ahead of a House Oversight Committee hearing on TIGTA’s efforts to recover missing emails from Lois Lerner, the former IRS official at the heart of the targeting scandal. TIGTA was not immediately available for comment. This entry was posted in Issues and tagged FOIA, IRS, Obama Administration. Bookmark the permalink.